We would ask you most urgently that due to the approach of Pentecost to let our children go home. The Feast of Pentecost or ‘Feast of Weeks’ or in Hebrew ‘Shavuot’, is one of the three main feasts which our Creator has commanded us expressly to celebrate. This is a family festival which is to be held as an ‘everlasting statute.’ Eternally valid means that this festival has not lost its significance even in our seemingly progressive era — a time in which the Creator has no more importance in the consciousness of many people. Just like the Jews, we see an urgent need to fulfill this standard, “set forever by the Creator,” namely, to fulfill his commandments, and to spread it in the world. We believe in the depths of our hearts that these 10 Commandments are standards set forever. The holding of this standard is the basis of a God-pleasing life. In a time when morals and morality are exposed to a continuous decline, the obligation to disclose these standards is more contemporary than ever. 3) that it is eternally valid for all future generations. We, the families of the community of the Twelve Tribes in Klosterzimmern, are followers of the Son of God, we call by his Hebrew name Yahshua. We understand ourselves as a fruit of the Son of God being crucified for our sins, which He paid for us for three days and nights in death. Then God has snatched him to death again and resurrected, and He ascended into heaven, to pour out his Spirit upon the apostles, so that they would be able to welcome his special commission to them in Mt. 28:16-20. It is therefore of the utmost importance for us to celebrate this feast of Pentecost together with our children. Finally, it is expressly commanded us, ‘to tell our children’ (Joel 1:1-3), in order to remind them of the promises of the Creator. Also, we should teach them, and turn their hearts to their parents as well in obedience, as their parents her heart turn to the Creator in obedience – so that our love for our Creator and each other would not grow cold, but would burn hot. In light of the constitutionally guaranteed undisturbed practice of religion (in Article 4, quoted below), it is incomprehensible to us that you now for almost 9 months deny our children this right of free exercise of religion, together with their parents. ‘Future generations’ — these are clearly the offspring — the children who are currently separated from their parents. Your recent decisions give the impression that you defy the orders of the Creator of heaven and earth. In years past, our children have participated with zeal and great joy in the preparation and implementation of the feast on our premises. This year we have planned a parade with all our ‘first fruits’ by Klosterzimmern morning. In the further course of the day we want to work together to play games, take a meal and spend the evening with fun circle dances, music and song. Therefore, we request that our children on Sunday, 08 June, 2014, from 10 in the morning until 8 o’clock in the evening can celebrate with us the Feast of Weeks with the family in Klosterzimmern. Helez Schüle at last year’s First Fruits Parade in Klosterzimmern. On October 18, 2004, seven fathers from our Community in Klosterzimmern, Germany were taken to prison for their beliefs. They refused to send their children to public school. Their wives were awaiting imprisonment for a time, but were never arrested. Part 2, about the 2002 Raid that sent our children to public school for one day, to follow. This is Boaz Markeli and his oldest daughter, Tsel-Shaddai Markeli. Her younger brothers and little sister would be caught up in the 5 September 2013 Raid on Klosterzimmern. They have known the painful nature of confronting a state that will not let its people be free…even free to educate their own children. Surprisingly, when the State comes also comes the media. Or maybe it is not surprising — there seems to be a close connection. This is Holger Röhrs and some of his family speaking to the media before being taken away. This is Caleb and Yerusha Schüle that day. And this is Caleb and his youngest daughter, Zipporah. And here we have the reason for their arrest — they were parents who loved their children and wanted to educate them. They did not want to send them to public schools. It was a matter of conscience and of their rights as citizens and as parents. Mr. Rohrs speaks with the same conviction as a German long ago, unconsciously using nearly the same words, certainly expressing the same sentiment. Is there Liberty of Conscience for All in Germany? Two weeks ago, we had a Thanksgiving celebration here where several families from the neighboring villages participated. It was very nice. We had activities for the children. Last year, we celebrated three large weddings. At some of them we had more than 100 guests. We want our way of life to make God’s love a little bit more real to people, and we want people to be able to find something here which they do not find in society at large — something that you do not really sense there. We have our own income, our own industry. We have a crafts business. We do not receive any unemployment benefits or welfare money; we support ourselves. We do not have a whole lot of money; we live a simple life. And whatever children’s benefits we do receive, we use for special projects which profit our children and youth, e.g., training projects, special jobs that we do with our children where they can really learn something. [The money] actually goes where it is supposed to go, that is, to our children. We did not desire or cause the current escalation or the pending coercive detention. The school law, or the punishment for non-compliance with it, really was designed for truants — for the parents of children or youth who simply do not feel like going to school, but who would rather hang out in gambling dens or department stores, wasting their time. This is what the law was made for. The purpose of the compulsory education law is, was, and should still be for children to get an education — that their education would not be neglected, but that they would get prepared for their adult life and become a productive element of society, so that they would not have to say afterwards, “I cannot do anything, I do not know anything, I cannot read. State, please help me.” However, if this law is satisfied otherwise, e.g., by our daily classes, in the parents’ own initiative, if our children are going to reach the level of a basic secondary school, then the purpose of the law is fulfilled. 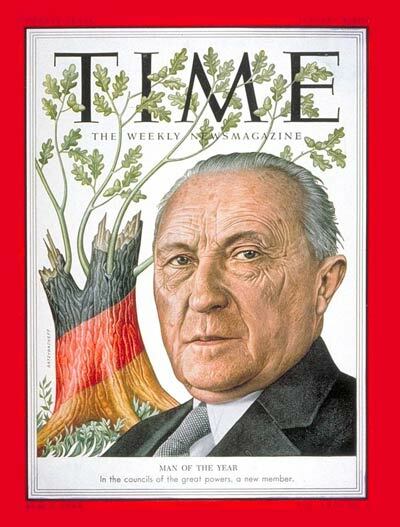 If I think of Konrad Adenauer for example — most people are aware of this — Konrad Adenauer was home schooled. Konrad Adenauer did not go to public school. The great statesman from America, Abraham Lincoln, was taught in a log cabin and wrote speeches which the average American today can hardly understand, so beautiful was the style in which he wrote English. Albert Einstein was a brilliant failure in school. So compulsory education is not a guarantee for success in education. We do not belong in the mainstream; that means we are a small society within the larger society. Children who get sexually stimulated are no longer educable. The destruction of natural shame causes the breakdown of inhibitions in every other area. Brutality and disrespect for the personality of man. This is Sigmund Freud saying this. The result of this moral decline is that nowadays, every third child that is conceived in Germany gets aborted — every third child. Over the last 30 years, eight million children have been aborted in Germany. And these things are interconnected; they are not independent from each other. Among youth there has been an increase in the readiness to resort to violence. This is documented in studies by the Federal Bureau of Criminal Investigation. These are available on the Internet. The misuse of alcohol and drugs also is on the increase. Why is it that laws are being tightened more and more? Because the government realizes that [the situation] is sliding out of its control. Fines and coercive detention are the wrong methods. You cannot change a true conviction with fines and imprisonment. The word fine [in German] connotes penance, repentance, change. The district court judge of Nördlingen wrote that coercive detention became necessary if a fine [in German carrying the meaning of penance, repentance, change] did not accomplish a re-education with a view to a future lawful behavior, meaning that we parents would send our children to school afterwards. This is the purpose of the fine. For reasons of conscience we could not, still cannot, and never will pay these fines. Fines connote change. We are not going to sell out our conviction. And the state, the Government of Bavaria, knew this. That we were going to be true to our conviction is what we already told them years ago, and we re-emphasized it time and time again and testified it in court. And nevertheless, the state has acted in this way, knowing that this would result in an escalation. This was calculated. It should all be about our children, about their wellbeing. This is why we teach our children at home. It should all be about our children, but unfortunately they are the ones to suffer. As I said at the beginning, it is not only about fathers or men going to prison, or [mothers or] women going to prison, but it is about families. It is about children. There are a lot of parents, and of course a father and a mother want the best for their child. But there are many other families in Germany in desperate straits; they know they will be able to pass something of greater value on to their children by teaching them at home. Here you can see a map. It is well-known that more than 600 children in Germany are being taught in this way. So there are many more than the thirty or forty children we have. And these families are in desperate straits. And we will not give up our conviction. The government needs to see how it treats people who are able to think for themselves and want to pass something on to their children in their own initiative. We will not give in to the state’s threatening us with imprisonment to make us pay the fine. We will not do that. We are not looking to be martyrs. Some accuse us, saying, “Well, now you are just letting it all happen to you.” This is not what it is about. This is a conscience-based decision. It is not about an opinion we have, or about obtaining a privileged status, or about what we might prefer. It is a matter of conscience. We cannot act any other way. The state of Bavaria wants more than 150,000 Euros’ worth of fines from us — unjustly. It wants to get rich. And I want to make this very clear — the Jugendamt (youth department) in Donauwörth knows that our children are doing well and that this coercive detention is against the wellbeing of children. If anyone thinks that our children are not doing well — and you have just seen them — you are welcome to visit us and get your own idea of our children. Our children are happy children. They grow up secure, they have confidence, and they are looking forward to their adult life; they are not afraid of the future. But in that one point, the law of compulsory school attendance, where it is about our precious children and their education and upbringing, we cannot make any compromises. Just as we do not pay and will not pay our fines for reasons of conscience, we parents are not going to turn ourselves in today [to begin this prison sentence]. What is the solution? What is going to happen next? Is the solution to send us to prison twice a year? Is the solution really to hit us with fines two to three times a year? Meanwhile, these fines amount to more than 150,000.00 Euros, which we could not ever pay. What shall we do? Shall we flee Germany? Do we not have rights anymore? Are we citizens with no rights in this country? This would expose Germany, Bavaria, and democracy. We like it in Bavaria, we enjoy living here. We enjoy living in the Ries area. We have met with a tremendous amount of support from the people here. But we cannot and will not give up our children’s education. So, what is the solution? We still hope that there is democracy — a democratic state under the rule of law. I have a map here which shows the educational landscape of Europe [see map here]. Yellow means there is compulsory education [in most European countries other than Germany], that means it is tolerated if parents teach on their own initiative unless it is explicitly ruled out by the constitution or the educational laws. Germany [in red] really is the only country in the European Community — and we did not just present it that way — that takes massive and brutal action against parents, even here in Bavaria. These are reprisals which are unworthy of a democracy. And it all fails because the Ministry of Education in Munich does not answer the many letters we have written over the past years, and some colleagues of Mrs. Hohlmeier’s [the Minister of Education here in Bavaria] threw us out when we tried to talk to her personally early this year. Mrs. Hohlmeier has lost connection to the electorate, she lacks the sensitivity to deal with our situation. She takes a hard line and throws good sense overboard. We want to talk to Mrs. Hohlmeier. We want to find a way to live together and get along with each other. We are interested in having a good relationship with the authorities. We are thankful for the government which maintains order. We are thankful for the police who care for our security so that I can sleep in peace, without having to be afraid of dangerous people breaking into my house. In the United States some of our communities are simply recognized as private schools — as initiatives of parents that joined together to teach their children. We offer the state of Bavaria to conduct transparent classes. We have always invited the Civil Servants to get to know us and our children, our teaching methods as well as our curriculum materials, and to view our students’ records complete with our own tests and test results. We have nothing against constructive criticism, on the contrary — we are glad to increase in our learning. *We invite the state of Bavaria to have a good conscience [about us] and supervise our classes. But we do not want them to determine what our children learn, or when, or how, because we as parents take responsibility for this. We want our school in Klosterzimmern to be recognized and legalized. We do not like being regarded as lawbreakers. This is embarrassing to us. We hope and pray every day to find Civil Servants here in Bavaria to whom children matter more than regulations. For Part 1 of our history of being persecuted for cause of conscience – because of our religion – see Can two walk together unless they agree? This report was originally published on our main website: Press Conference. 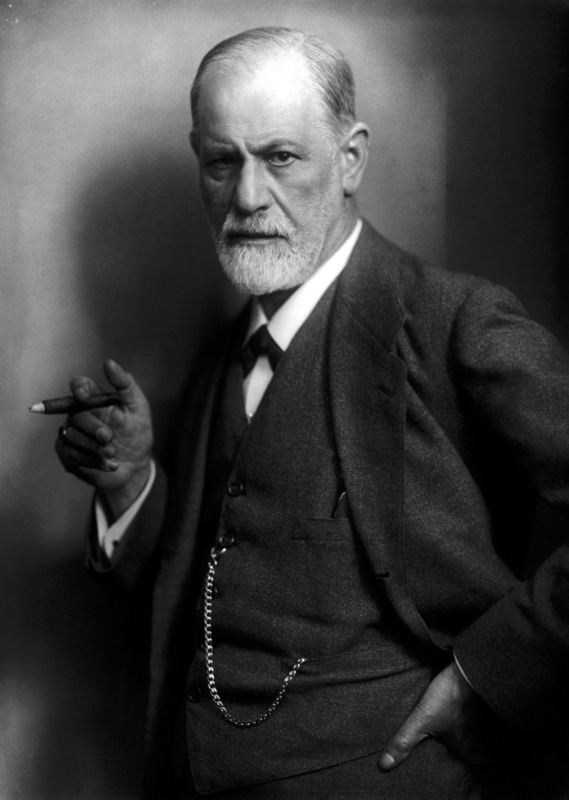 * Sigmund Freud, whose genius was a pioneer of the sexual revolution, recognized that “any early sexual activity affects the educability of children” (Ges. Works, Vol V, p 136). so that you, your children, and their children after them may fear the Lord your God as long as you live. Impress these commands upon your children. Talk about them when you sit at home and when you walk along the road, when you lie down and when you get up” (Deuteronomy 6:2,7). We, as the followers of Yahshua, the Messiah (Jesus Christ is commonly thought to be his name), are held responsible to obey the whole Word of God, and it is in this obedience that we must take on the education of our own children (Proverbs 13:24). We cannot merely teach our children from 7 to 16 years of age, but we must diligently instruct and train our children from early childhood until they can responsibly judge themselves. Our Father has provided the perfect environment for our children to be trained in. That environment is the community where the order of God prevails under the good government of God. In this environment our children are being trained according to God’s purpose on earth with concentric vision of how to accomplish this purpose. They, as vital parts of the community, are being prepared to attain to the highest goal possible in this life — to enter the kingdom of heaven. We refuse to send our children to undisciplined school rooms where rebellion against parents, teachers, human dignity, and freedom of religion (which the Constitution protects) prevails. Sexual permissiveness, drug abuse, and anti-Christian philosophy are rampant. We are commanded by our Lord and God not to conform to the pattern of thinking and the lifestyle of this world, but to be separate from it (Romans 12:1-2). OUR CHILDREN ARE ABSENT WITH CAUSE. The present secular school systems can only deal with mental and physical training, with no means to train our children spiritually and socially. The greed of the human heart goes unchecked in this school system because administrators and teachers alike cannot deal squarely with problems of greed and lawlessness, and are unable to lead the students to the answer — Yahshua the Messiah and His kingdom on earth. The faults and failures of the school system are obvious to all, especially the students. They cry out insatiably for better schools with an environment of order in which to learn rather than chaos and confusion. Students express their frustration in millions of dollars of vandalism and violence each year. Teachers strike for more money — victims of the greed inherent in the system they promote. Do our children need an atmosphere of ever-present threats of strikes by their teachers who need such organizations as unions to assure justice? Do they need the unstable influence of teachers who teach out of selfishness and greed instead of compassion? We want to ensure our children an education suitable to prepare them to love God with all their heart, soul, mind, and strength, and to love their neighbor as themselves (Matthew 22:37-40). Obedience to this command fulfills and expresses everything God has said in His Law and through His prophets. We will not subject them to the interruptions of strikes and violence and the examples of selfishness, hate, and greed that they would have been conformed to. Our children must be in an environment where they can have examples to whom they can be conformed. Therefore, our children who were once enrolled in public school will be enrolled no longer, and as stated earlier, they are absent with cause. We will not subject them to further beatings, harassment, and insults, which officials cannot control. Our unenrolled children will never be enrolled. In spite of many well-meaning individuals involved in the educational complex, the system itself is evil and ungodly. The proof of its corrupt nature is not so much in its failures and shortcomings, which almost everyone readily admits, but rather its essence is revealed in its fruit and the spirit it instills in our precious children. The teachers pass on the spirit of this world from which we are commanded to be separate (Deuteronomy 7:1-11; 1 Corinthians 2:11-12). Teachers cannot be qualified by colleges and universities, but only by God and only in His Church where His graces are added to the innate abilities put into them by Him. Teachers are in the Church, not in the world (1 Corinthians 12:28; Ephesians 4:11). Should we remind you of all the violence, strikes, threats, etc., by the “licensed teachers” that were “qualified” in college by a so-called “degree”? This behavior is no surprise to the cognitive ones in our society. These so-called “teachers” and “educators” received their spirit from educational institutions which consider success to be power, money, position, and authority. Their philosophy of education is one which says that the purpose of education is to make one a success in order that he may live his life for himself in the “comfort” this world offers, thus having no greater preoccupation other than self-interest. They are taught how to perpetuate their existence at all costs even if that means stepping on others who might get in the way. We believe a teacher must teach from a spiritual gift given by God and not with merely natural abilities. Those who teach our children must pass on to them a spirit — the one Spirit of Truth. The education of our children requires that our teachers be motivated by compassion (not greed), and therefore can earn no salary; students must attend and teachers must instruct on a twenty-four hour schedule, seven days a week. From these requirements it is clear that the “school” our children must attend is part of a total life, the life of the person of Yahshua in His Body, the Church, and not merely a building or academic institution. This Body is the only living organism established by God to carry out His will on earth. No other structure on earth could qualify to educate God’s people, for it is obvious that no contemporary educational institution is equipped to accomplish the purpose of God on earth. Replying (in such a public manner) may take several posts, especially as regards such weighty matters as he addresses. So we will address him as Professor Line (not his real name), as that is the summation of his letter to us…you in the Twelve Tribes have crossed a line. We sincerely appreciate the warmth of his opening sentence, which is quoted below. Several excerpts from his well-written letter follow. As you will see, he clearly and cognitively embraces, as both necessary and superior, the philosophy of positive law. Definitions are listed below of this key term. He understands such law to be the product of continuous negotiation and debate among the forces, the power groups that exist in society. As such it has no other foundation than the current will of the people, however expressed, produced, or really, as history shows, coerced. More politely, the consent of the people can also be engineered by those in positions of power and wealth. The twentieth century shows that anything can be marketed — even evil. And he correctly points out that the Twelve Tribes are a very small, powerless player on the national scene of Germany. So, what of us? So, what of others? Not insignificant questions. What of those outside the lines? Also, please take note of his opening sentence in the concluding paragraph, “When there is no such thing as natural law.” It is keenly perceptive. What are men to do when the foundations of natural law are seemingly destroyed in society? King David asked the question many years ago in Psalm 11:3, “If the foundations are destroyed, what can the righteous do?” What indeed? “Please do take note that whenever your definition of human rights clashes with the definition enshrined in the laws of the land, the state has every right to defend itself. So what if dozens of countries, encompassing hundreds of millions of people, came, either quickly or methodically, to the conclusion that certain people’s very existence was a crime against humanity? Why should they not pass laws against them? While the world watched, basically uninterested, they did so. It was a continuous process on the most public of levels. From the university hall to the street corner, from the halls of government to the beer halls: the nation stood virtually as one man, far more so than over the issue of the discipline of children in today’s Germany. One by one the most basic freedoms were stripped away from these hated groups: freedoms of speech and religion, the rights of travel, and owning wealth. These were certified enemies of the state! Why should they not finally deny these despised groups the very air in which to breath? What could possibly prevent them — some cultural construct like human rights, perhaps? Or some quaint belief that right and wrong are written instinctively on men’s souls? (natural law). Or some expectation that all men know: “THOU SHALT NOT MURDER”? None of this seemed to matter very much then. Yes, we speak of a time when many acted as if “there was no such thing as natural law.” Is this good or bad, or neither? Let us come to clear conclusions, if we can. These nations had come to widespread, common agreement; they had the power, the will, and as states they had every right to “defend themselves” against an “enemy.” They acted as it were in self-defense, or so they justified their actions. They may have even believed this. Does this not fit every requirement of Germany’s modern philosophy of law? When each is checked off, cannot anything become law? There is no restraint on what can become law, is there? So, is there a problem with this way of thinking? Here is a map of the Axis powers (in black), more or less at their high-water mark, in World War II. It would be safe to say that they had reached consensus on a host of issues. There is a vast amount of documentation about those European countries, mainly, that agreed on the registration, persecution, and annihilation of the Jews and others. This is called the Holocaust. Is that not law? What does moral choice have to do with it? What choice against the state is possible? And being impossible, how can it be moral? The circle was closed in the defendant’s minds: the judges at Nürnberg were wrong. Were they? Who dares to disobey the law? That is, who dares to uphold any other standard of right and wrong, no matter how long honored by the entire mass of humanity, once the government has spoken? Who believes that God, not men, determines what is right and what is wrong, and writes that knowledge on men’s hearts? But, He leaves it to men, especially in times of crisis, to obey or disobey that inner truth. That is what Professor Radbruch wrote of in his final paragraph of the “Fifth Minute.” More on this in a future post. Jakob Schmid, the janitor who arrested Hans and Sophie Scholl. Renaming the schools after him would be a fine thing! He obeyed the law! They disobeyed the law for conscience sake. They were punished. Hurray! That’s certainly what they cried when the Scholls were executed — the gave the janitor a standing ovation! Know this, punishing parents for disciplining their children in love is contrary to both what parents know in their conscience and what the Word of God teaches. Proverbs 13:24 — “Whoever spares the rod hates his son, but he who loves him is diligent to discipline him.” Such a law is the inconceivable “law against love” that the Apostle Paul could not imagine coming about in his day (Galatians 5:22-23). So we have a name for the times “when there is no such thing as natural law.” It is the time when good is called evil and evil is called good. It is the time of Isaiah 5:20. It is a time of woe. However, they are absent for good reason. We believe that for us parents our highest duty to God and man is to equip our children in their education and training for which they were born for. Firstly, to love their Creator with all their heart and all their soul and secondly, to love their neighbor as themselves. In order to follow the call of Yahshua and to be part of the Kingdom of God here on earth, we have, being a part of the community of believers of the Twelve Tribes, followed the example of Peter and the other apostles and left everything behind us, to be obedient to the whole word of God. As followers of the Son of God and part of His holy priesthood, we are especially committed to the education and training of our children and the responsibility of raising them in the ways of our God and equip them to enter into the Kingdom of God. The raid on September 5, 2013 tore away our children and youths from their parents and from the peaceful, common, godfearing life which we lived with them here in our homes. Since then they have experienced violence, bullying, drug and nicotine abuse, and sexual permissiveness in the homes and the schools assigned to them. They have suffered greatly from the intense peer pressures in the public schools. We refuse to send our children to schools where there is no discipline any more, and where rebellion against parents and teachers, and against human dignity and freedom of religion, rules, and where philosophies hostile to God abound more and more. Contrary to the opinion of the Federal Constitutional Court, which said one and a half decades ago that existing “deficits” could be balanced outside of school by the parents, we parents do not see ourselves able today to make restitution in the time that they are at home for all the serious psychological damage and impressions that the souls of our children are constantly experiencing. It’s not just about any teaching content, but especially about the social pressures and influences to which children are exposed to on a daily basis up to eight hours. The Son of God and His apostles Paul, Peter, and John commanded us that we being disciples should not adapt the patterns of thinking and the lifestyle of today’s world, but rather to distance ourselves from them. The true church is supposed to – yes – be in the world but not of this world. The public school system is unable to prepare our children for the Kingdom of God, because it prepares all of its students to make a career for themselves in order to have their comfort in full in this life. The task of the Church, however, is to produce a self-denying love that uses all of her skills for the neighbor, to love him, to respect him, and to give one’s life for the other, just as the Son of God has done. This is the way and the life that is given us to pass on to our children as the way of God. Likewise, we are commanded to educate them to judge their own selfishness and pour out their lives for God and their fellow men as a daily worship. Today’s school system can do no justice to these values of the Body of Christ, but is contrary to the mission of the church one hundred and eighty degrees because it is under state authority. To furthermore expose our children to these worldly influences would mean, so to speak, to sacrifice them to idols — to destroy them — and to destroy the faith and the life of faith that we have together. That is the reason why our children will be absent from the public schools from today on! It is sad to observe that judges, politicians and schools so far have tried to convince us that the Bible is impotent and not to be obeyed. They are ignoring the principles and eschatology of the Bible and the way of life it teaches. We know that the Son of God Himself was rejected, hated, and murdered by His whole nation and that His followers must also expect that obedience to all His commandments means enmity with the world and persecution of His body as well.